What are Fillings and Do I need them? Fillings are an artificial material that is usually the ideal option of treatment for a dental cavity or a chipped tooth. Dental decay occurs when the enamel and dentine of a tooth becomes softened as a result of an acid attack from any foods/drinks containing sugars. Over time, the acid creates a cavity (‘Hole’) in the tooth. This is commonly known as dental or tooth decay. If the cavity is not too serious, one of our LeoDentist’s will be able to remove all the decay and repair the tooth with a filling. What if I don’t get it Treated Early? If the tooth is not treated early, the decay can progess and get closer to the nerve (Dental Pulp). This will be noticeable as the tooth may become more sensitive, particularly to sweet foods, drinks and hot foods. If the nerve in the middle of the tooth is damaged, more extensive treatment will be required. This can involve Root Canal Treatment by removing the nerve and repairing the tooth with a filling or crown. If the decay has progressed too far and the tooth cannot be repaired, it may require an extraction. 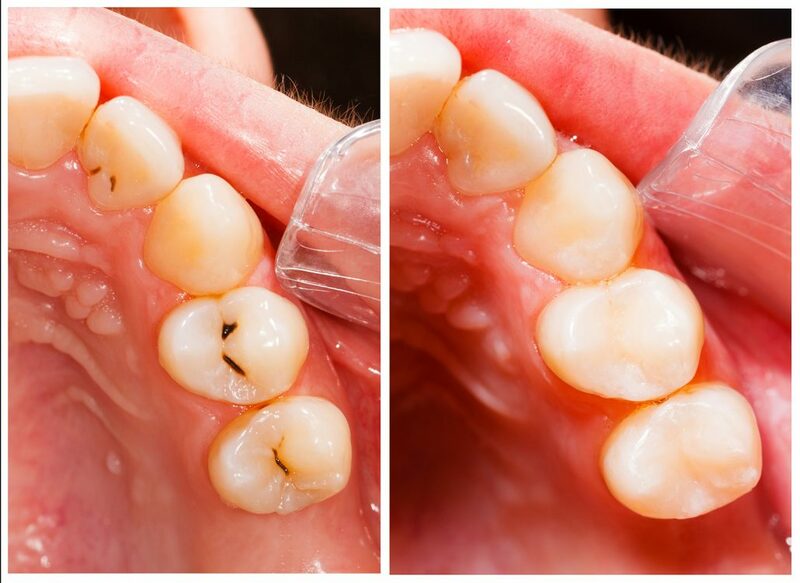 ‘White’ Filling vs Silver Amalgam Filling? White Fillings have always been considered inferior to silver fillings previously. However, due to the constant advancements and new materials available, ‘white’ fillings are now comparable to silver amalgam and are proving to be very successful. Despite this, the longevity of any filling is dependant on where it is in the mouth and how well you maintain your hygiene and take care of your teeth. Should I consider White ‘Tooth-Coloured’ Fillings? It is a growing trend to have white fillings as a treatment of choice when having a filling. Many people are conscious of their laugh and one option to improve the cosmetic look of your smile is to have ‘tooth-coloured’ or ‘white’ fillings. Having a ‘white’ filling will allow you to laugh and smile with confidence, knowing that your teeth have a more natural appearance and not a metallic glint in sight. At LeoDental, we are firm believers of prevention is better than cure. For this reason, we recommend that you come in for regular hygiene appointments with our LeoHygienist and dental check-ups with your LeoDentist.